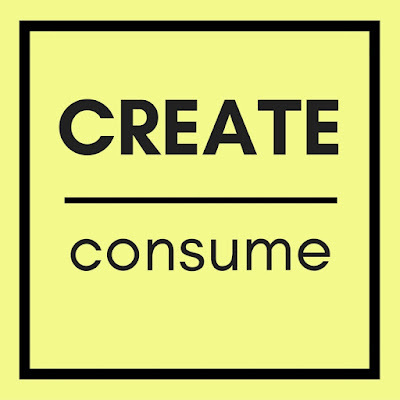 I've identified several directions for my personal compass (act > think was the first one I wrote about here), and the one I'll highlight today is create > consume. I've written several times about this topic; it first started seeping into my consciousness at the end of 2014 when I was making resolutions, and has come up again and again—most recently documented on the blog in April with my attempt to go a month without Twitter. It's nice to relax to a TV show or movie every now and then (Hello "Broad City"! ), and I love reading blog posts. Plus lots can be gained from "consuming" and appreciating others' works—films, standup, art, writing, music, etc. Not to mention that consuming in the target language is absolutely vital for language learning, so I'm obviously not trying to wipe out all consumption. I just want to spend more of my time creating rather than consuming—hence this guideline. *I've also written previously about how I group book reading into "creating." Basically, you're creating new knowledge—but in a way that's different from all the other consumption actions. You can soar on autopilot while watching a documentary, for example, but reading a book requires your complete focus over a long span of time. Years and years of work (plus years and years of knowledge and life experiences) went into the creation of the book, so it feels different from a blog post or magazine article. The tie to creation might not totally be there, but reading books simply doesn't seem to fit with the consumption side, which is more frazzled, flashy, and attention-grabbing, and requires less concentration. So what do you think of my categorization? What are some activities from your life that don't appear on my list, and where would you put them? And I'm also curious: Is there an x > y equation that would help guide you in your life? I have 5-7 more that I'll be writing up over the next few weeks, which are what I need, but you are not me—so it's likely we'll need different reminders. What would one of yours be? 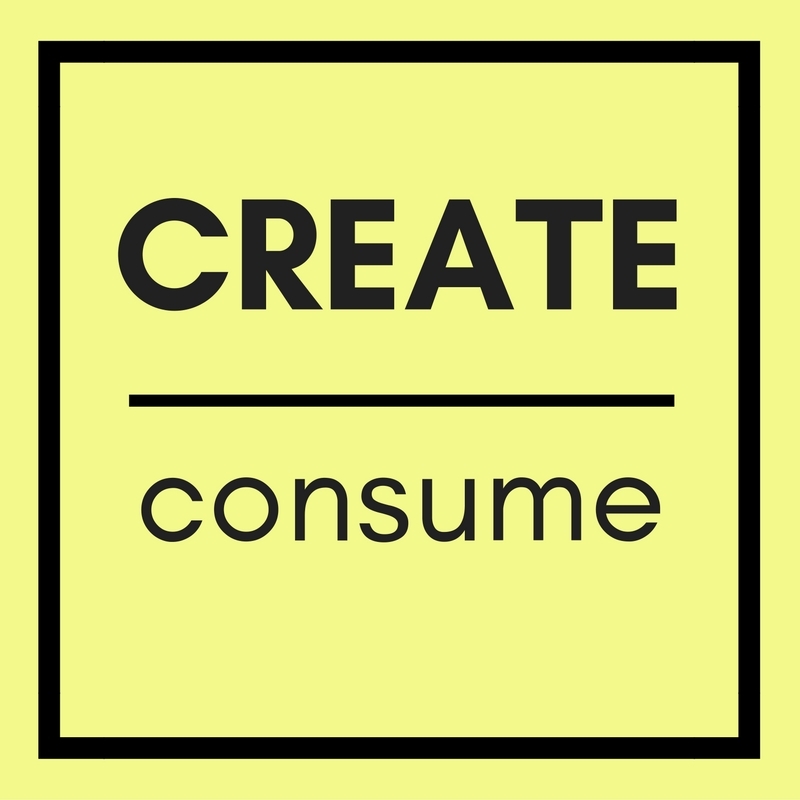 I think to me you're more talking about mindfulness>mindlessness than creating>consuming. In my life, I think consuming new media is great--to get inspired, learn new ideas/knowledge etc. But it only makes a difference if I'm really paying attention to it. So if I'm not listening to a podcast with the goal of learning, I'm probably pairing it with another activity, like road-tripping. But if I want to learn and stay engaged, I try not to divert my focus--allowing me to be mindful and open to what I'm hearing. Yes, I agree that consuming is also a fantastic way to get inspired. So, again, I don't want to cut it out—I just want to do more creating in my life than I've been doing.